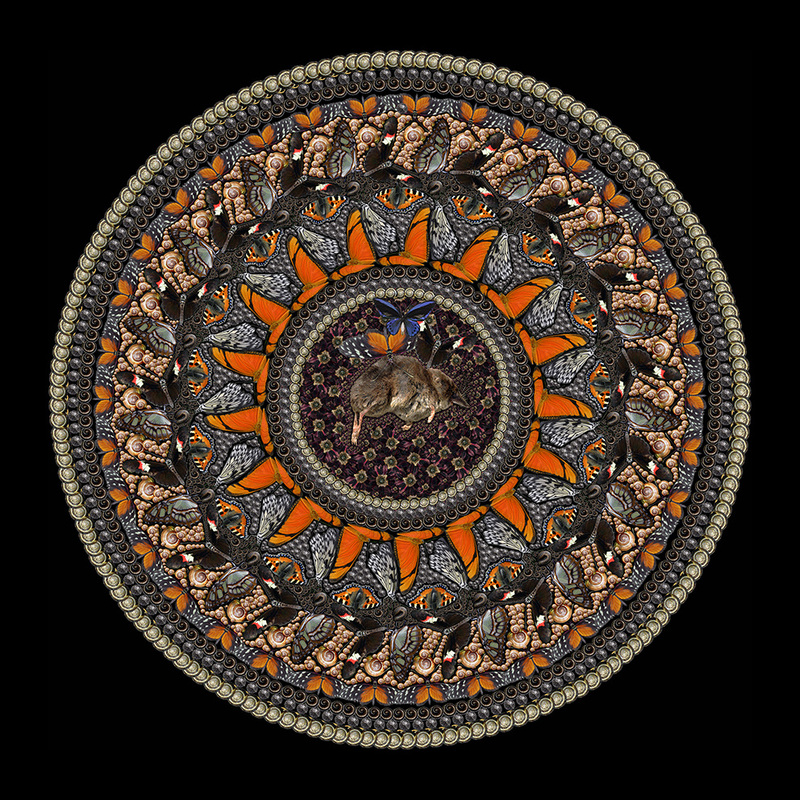 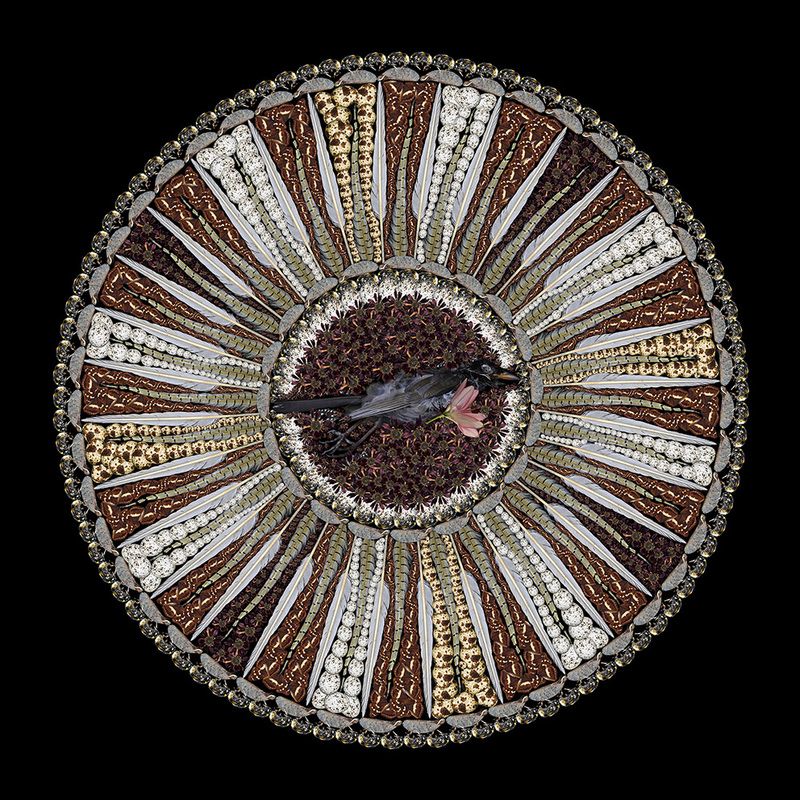 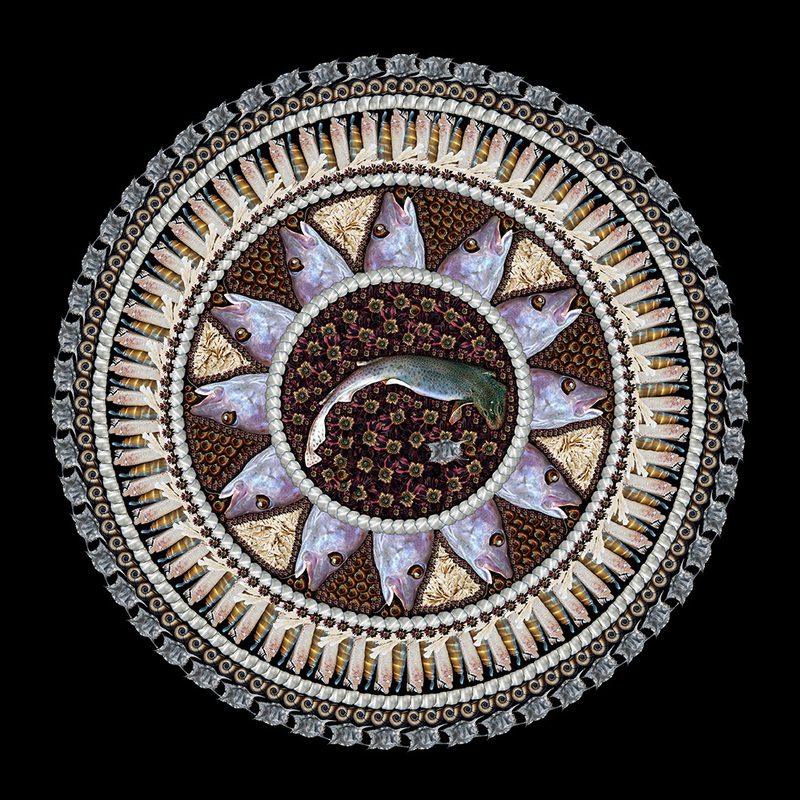 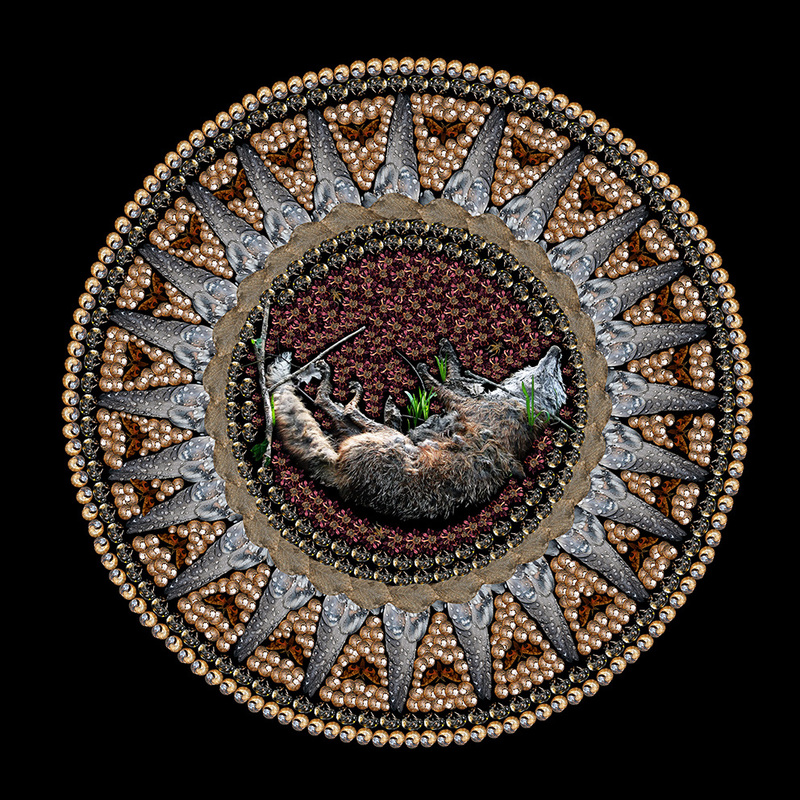 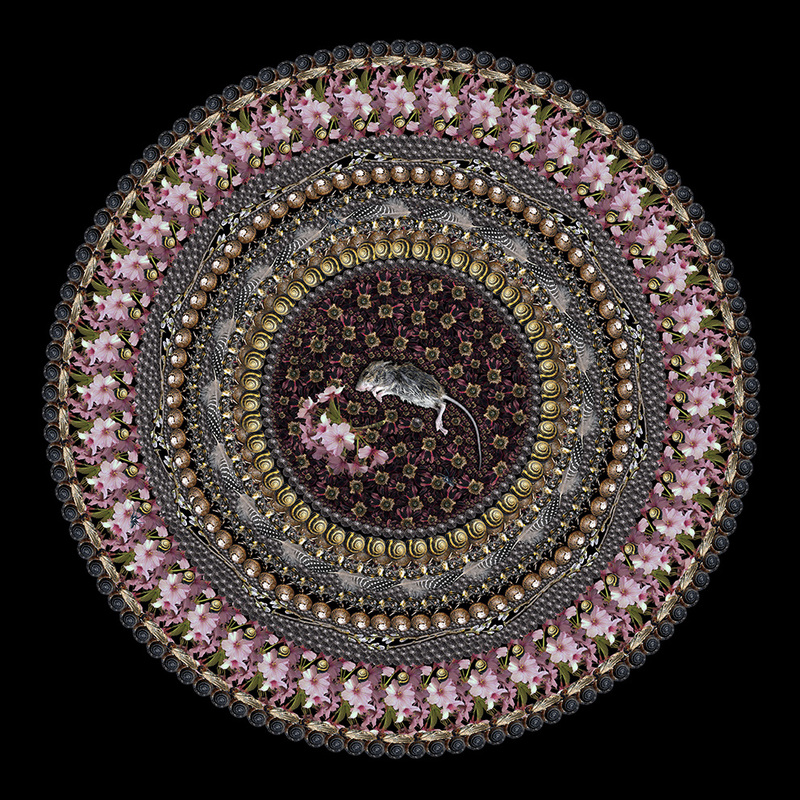 In her series Kit and Caboodle, Fleur Alston creates incredibly intricate collage mandalas, a dead animal at the center of each. 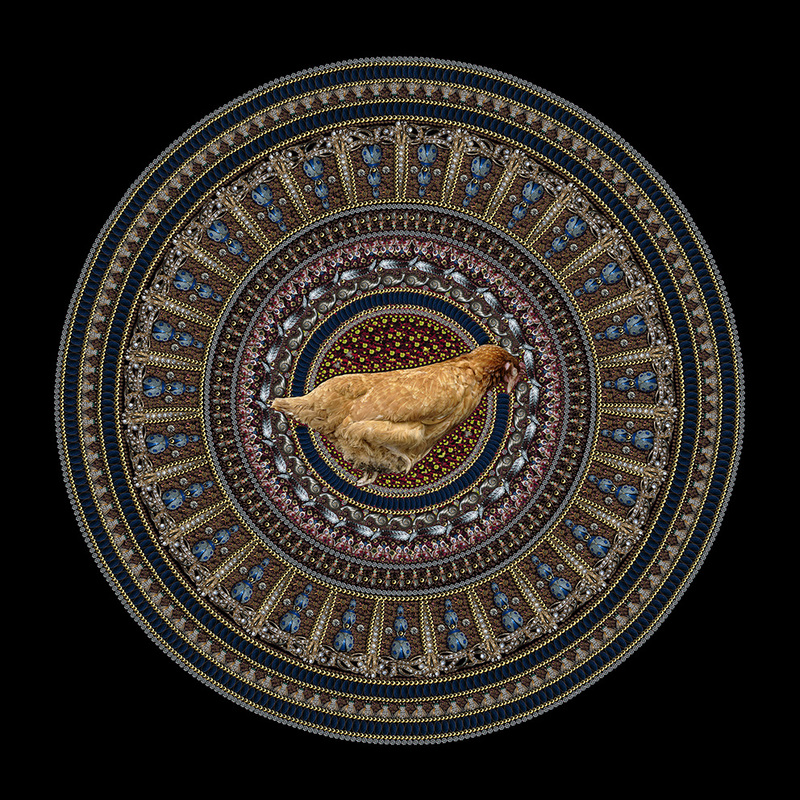 The mandala, “a spiritual and ritual symbol in Hinduism and Buddhism that represent[s] the Universe,” seems to me to serve as a memorial to the animal that the artist has happened upon, and symbolizes balance, a cycle, life, and death. 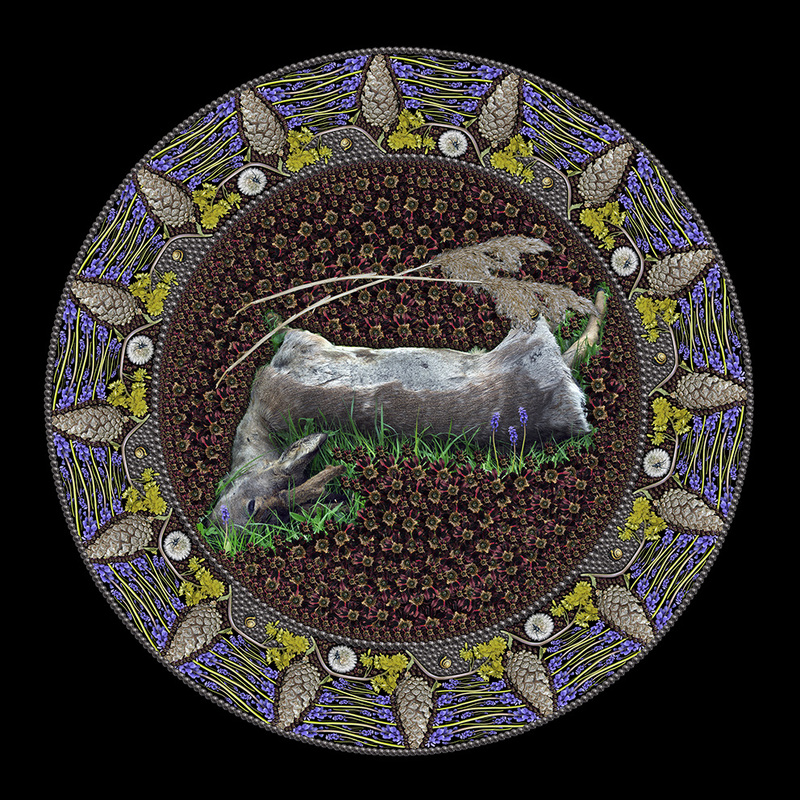 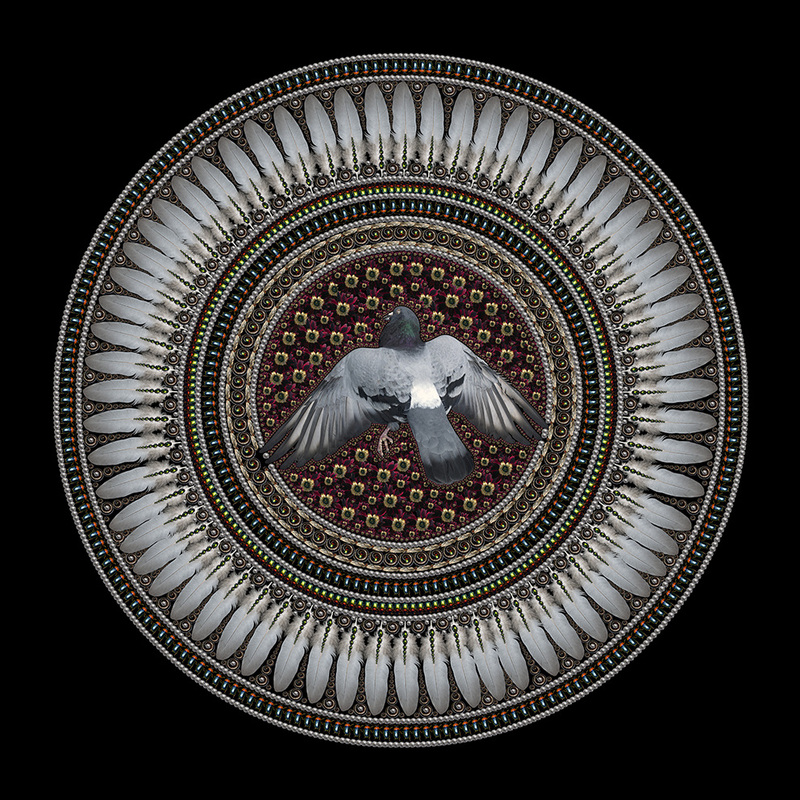 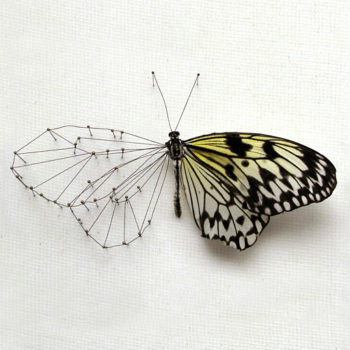 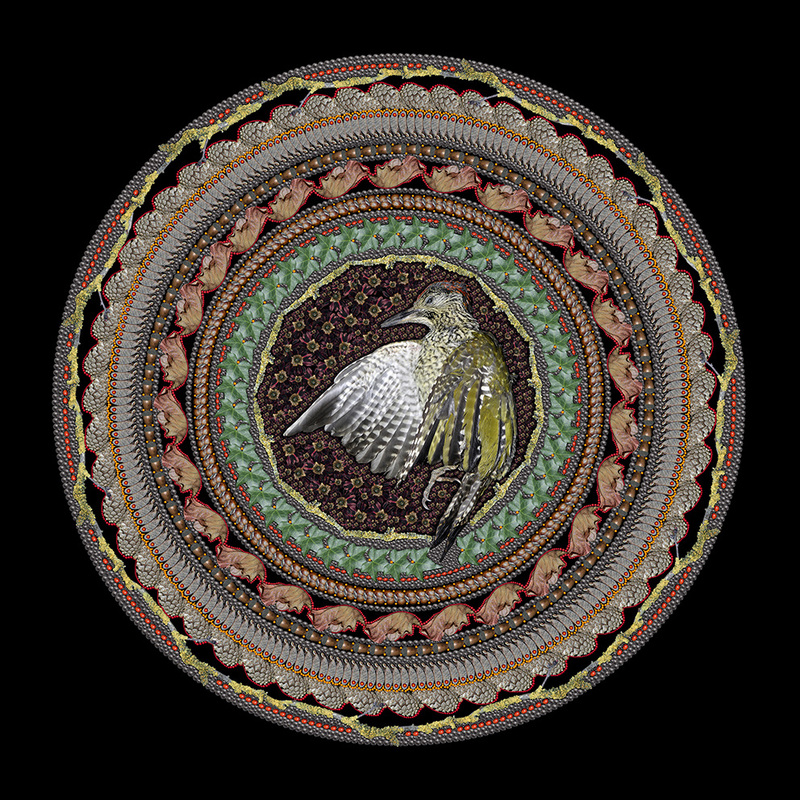 To create the mandalas, Alston uses objects that surrounded the animals in their environment. 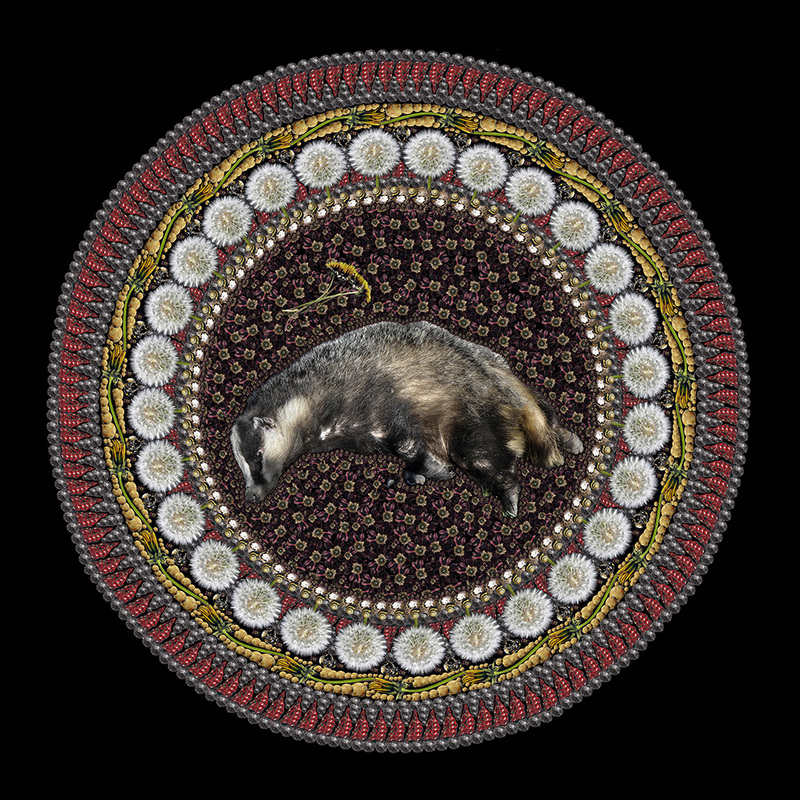 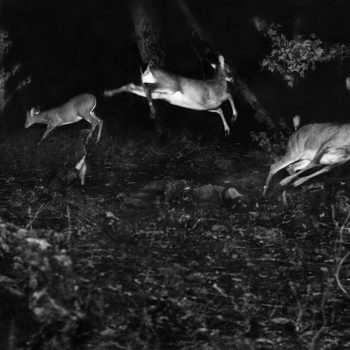 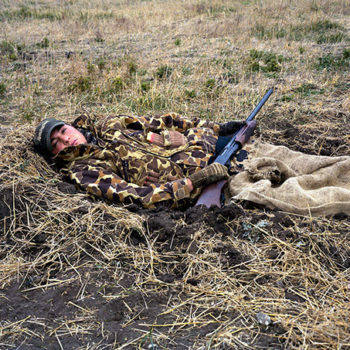 Along with the subject matter, the prominent presence of black in the images reminds me of Portia Munson’s work, and the perfect circles call to mind a few of Tamany Baker’s photographs; I’ll never tire of seeing new ways in which artists explore animal deaths, and I think each one is doing a remarkable thing.